The combination of a mild and creamy cheese with walnuts is appreciated by many cheese lovers: this cheese is called walnut cheese. 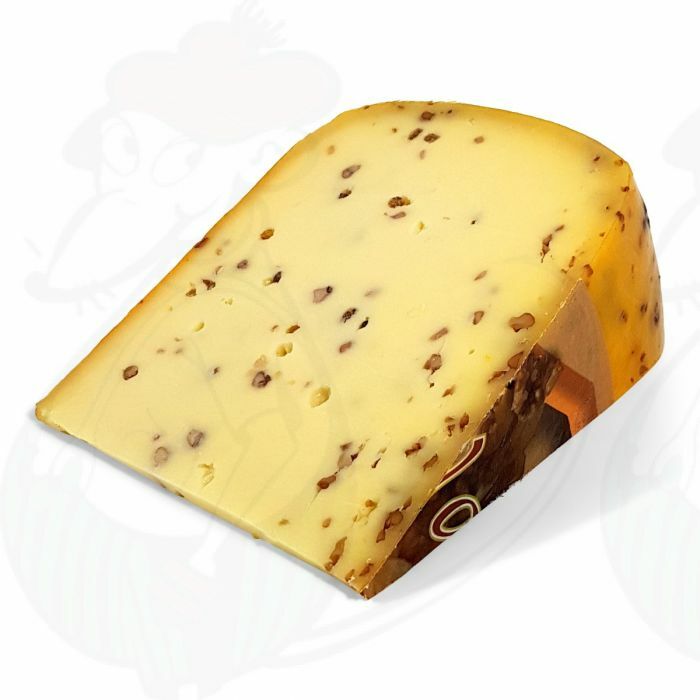 The combination of a mild and creamy cheese with walnuts is appreciated by many cheese lovers: this cheese is called walnut cheese. Walnut cheese normally is quite new so that the soft and almost juicy texture of the cheese contrasts nicely with the walnut crumbles that are put into this sort of cheese. Walnut cheese is a relatively new up and coming phenomenon. Naturally it has a nutty flavour, but the combination of cheese and walnuts is more than the sum of these two ingredients. The Walnut Cheese is Matured naturally for 8 - 10 weeks.